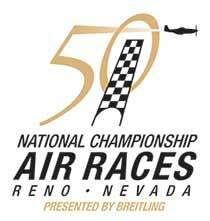 The Reno Air Racing Association would like the Reno Stead tenants to know that because of the runway construction occurring on Runway 08-26, the Pylon Racing Seminar (PRS) this year will only have two days instead of the normal 3.5 days to complete the required flight training requirements for new and or re-certifying race pilots. Those two days of flight training will be Saturday June 9 and Sunday June 10. Sincere thanks to Airport Manager Mike Scott for protecting these two days in the construction schedule so that PRS can occur this year. The PRS Waiver will be in affect from 07:45 am until 18:30 pm on these two days. This additional 1 hr. 45 minute time is necessary to ensure training schedule completion for the six race classes participating. 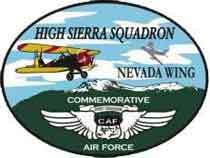 Unfortunately on these two days Reno Stead Tenant flying (except BLM and Raven) cannot occur during the Waiver period. Therefore Tenant flying on these days must cease by 07:45 am and cannot resume again until 18:30 pm. RARA apologizes for this year’s limitation on Reno Stead tenants but we are unable to safely include the routine 15 minute arrival and departure intervals in the two day race plane flying schedule. 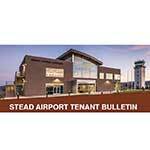 Airport Manager Mike Scott is checking with Reno Tahoe Airport and Atlantic Aviation personnel to determine if tenants desiring to relocate downtown PRS weekend can be accommodated. The above information will be updated as necessary.